Finger food recipe - Suitable for 1-3 year olds. 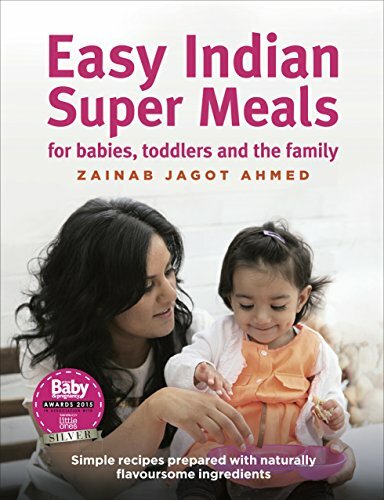 Perfect for parents intending to treat their little one’s for forthcoming Eid and Diwali Celebrations! Gulab Jamun, a popular extremely moreish Indian dessert loved by all who have had the pleasure of devouring it. Deep fried and soaked in sugar syrup, these delights are definitely not child-friendly. So I continued with my mission to make traditional Indian food suitable for toddlers and young children by baking rather than frying, and drenching them in a naturally sweet honey saffron syrup. Yummy! Please be aware, honey is still high in natural sugars so this really should be treated as a ‘special occasion’ indulgence for kids. Used for centuries for its medicinal properties, honey, nature’s sweetener is antioxidant, helping to protect the body from free radical cell damage. Free radicals are unstable, highly reactive molecules causing serious diseases such as heart disease, cancer, strokes, Alzheimer’s disease and arthritis later in life. Honey is too anti-bacterial, anti-fungal – great for nappy rash protection and along with cardamom and cinnamon, is great for boosting immunity against cold and flu viruses. Makes 3 servings (x2 per serving). Total cooking and preparation time: 20mins. Place the milk powder, plain flour, oil, baking powder and cardamom in a bowl. Add the milk one teaspoon at a time until a firm dough is formed and knead for 2mins. Note: You do not want to add too much milk as the dough will become sticky. 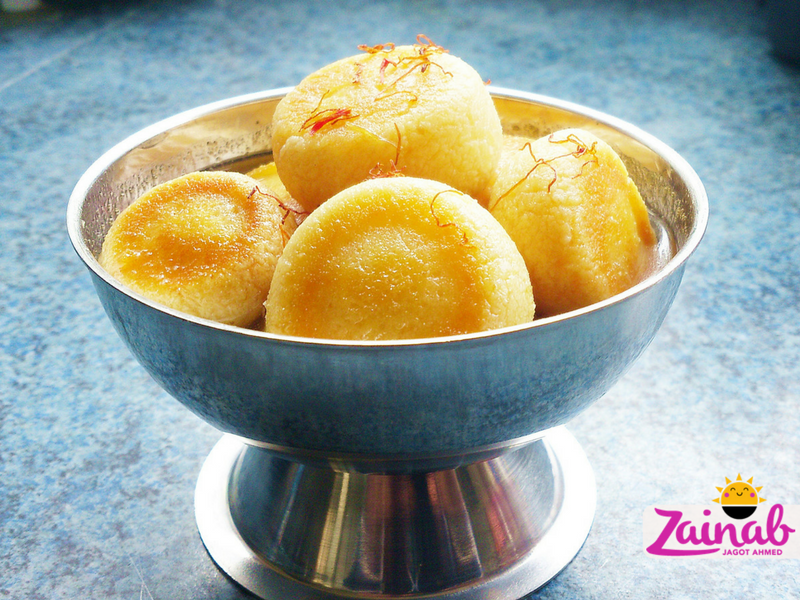 Sticky dough means the gulab jamun will resemble pancakes when baked! Divide the dough into 6 equal pieces and roll into marble sized balls. It is best to apply pressure when rolling the dough between your palms as this removes all the cracks and makes the dough balls nice and smooth. Preheat the oven to 150C/300F/ gas 2. Place the balls on a lightly greased tray or lined with greaseproof paper and place on the middle shelf of the oven. Bake for 15-20mins until cooked turning halfway. Be prepared… the balls may flatten slightly. A necessary trade-off for baking over frying – they don’t look as nice, but they are healthier! Once cooked remove from the oven and allow cooling. Whilst the gulab jamun are baking, place the water, saffron, cinnamon and honey into a pot. Bring to the boil and simmer for 5mins on low heat. Allow cooling. Add the cooled gulab jamun to the honey saffron syrup, and allow soaking for a minimum of 1 hour. 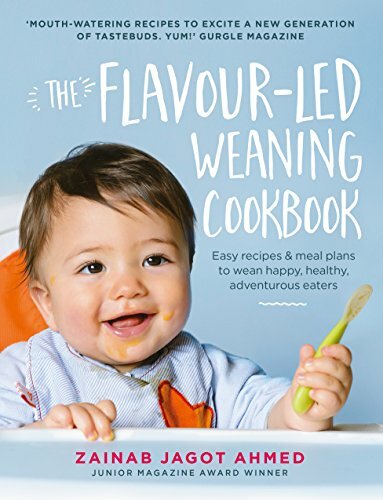 Serve to your little one at room temperature.